Save us, HTC One Two! You better start savoring the HTC One family now because it might be the last set of premium handsets HTC makes for awhile. The Taiwanese smartphone maker revealed today that it plans to lean more heavily on cheaper devices in the coming months as it tries to cut costs and bounce back onto more stable, profitable feet. HTC Financial Chief Chialin Chang said the company would look "at boarder products this quarter," with the goal of producing higher volumea into 2014 for "better profitability," in reference to making affordable smartphones. The move is in response to a dismal quarterly outlook - HTC told investors that it expects the current quarter saw profit fall up to 15% from the quarter before. It's a major reversal in strategy since the company decided last summer it was going after the premium market occupied by mainly by iPhones and Galaxies. 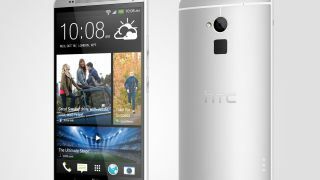 It followed that pronouncement with the unveiling of the HTC One this February. HTC had stated it wanted to own 20% of the high-end smartphone market in China, however recent research from IDC revealed 60% of all smartphones shipped to China cost $150 (about £93/AU$157) or less. Clearly, HTC is rethinking how it wants to approach the growing Chinese mobile market and whether costs accrued in other regions are really worth it. With rumors of the HTC One Two surfacing this week, we could see HTC reenter the high-end market with the HTC One follow-up. Only time will tell. Check out our hands on Nexus 5 review!